When I travel, I often see lovely and fascinating sights in the distance. On the Inner Mongolian grassland, I looked across a shallow lake at a moody sunrise. The camera’s automatic exposure accommodated the bright sun and created this surrealistic scene. 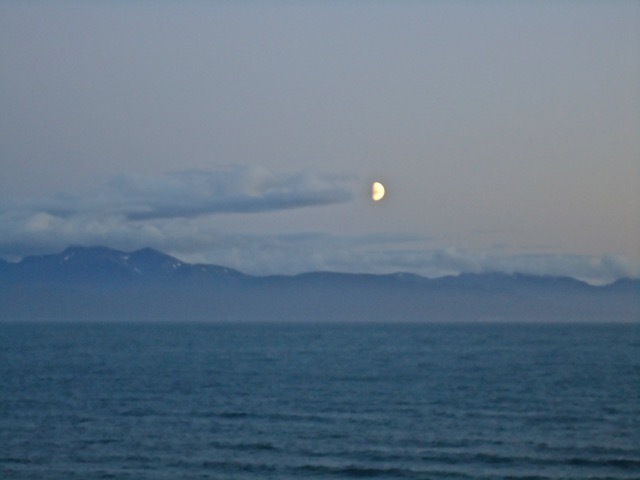 This moon in Alaska appeared to be jetting across the sky. This is a rare view of clouds fringed with colorful bands. 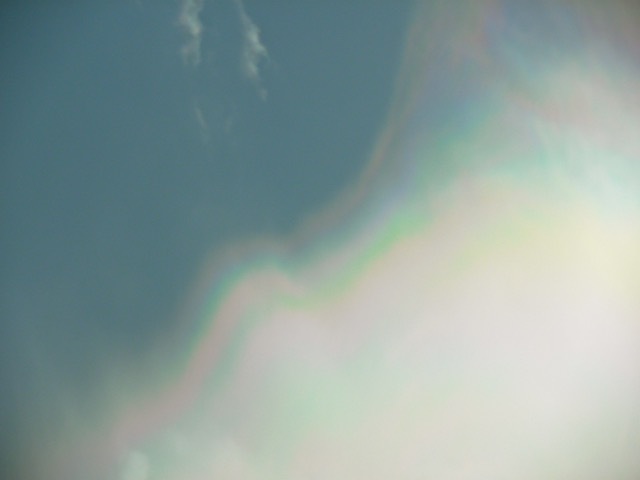 I learned it is called cloud iridescence. 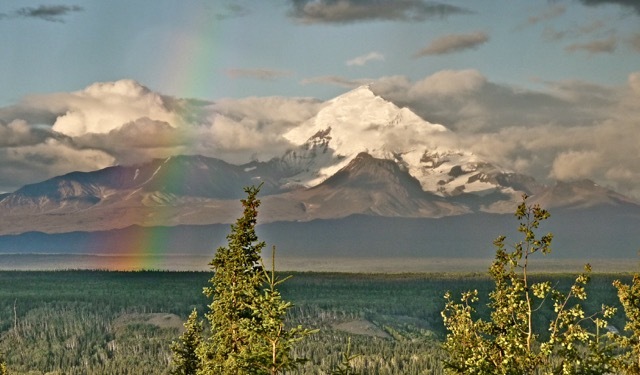 This was an ordinary rainbow above the plain by Mt. Drum in Alaska. Ordinary, but still beautiful. 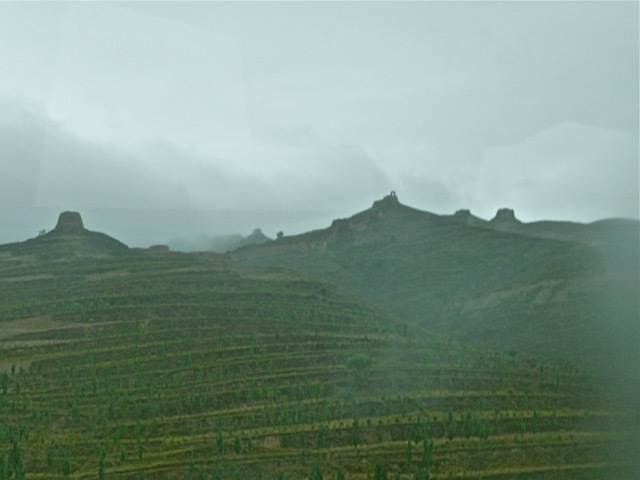 When I was in the desert in QingHai Province (青海), China, I saw this band of plateau above the shimmering horizon. It was a mirage. This was not a mirage. 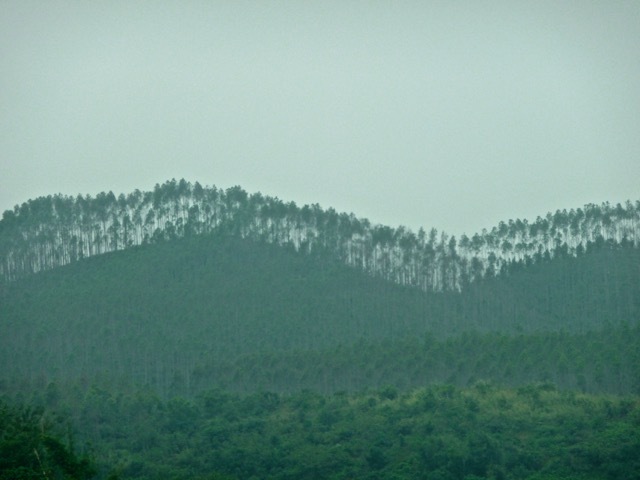 What at first looked like a snowy hillside turned out to be a ridge with trees. The trees’ leaves clustered at different heights, showing gaps that looked like snow patches. This was a man-made illusion. 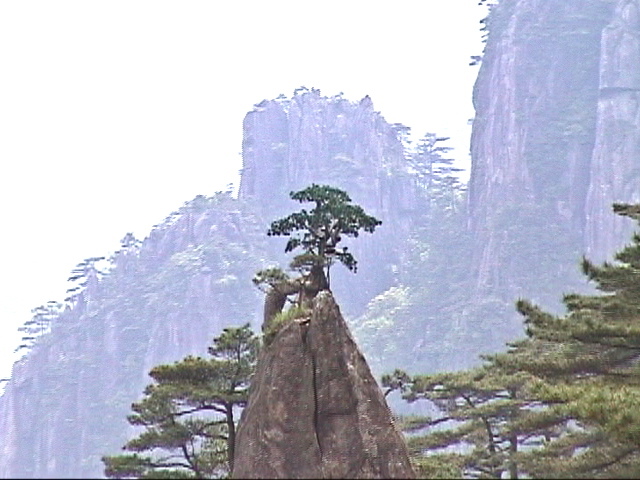 In HuangShan Mountain (黃山), China, a pine tree growing at the apex of a rock pinnacle was recognized as a must-see tourist attraction. When the tree died, a plastic tree was erected to keep the tourists happy. 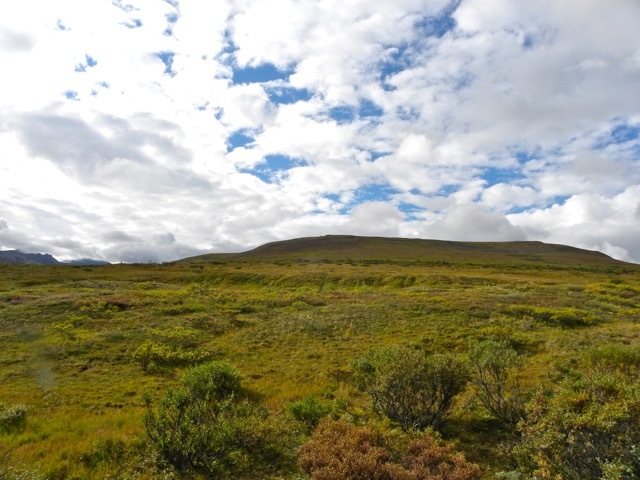 One mountain range separated the Mongolian steppes from China’s interior. A series of fortification at YenMen Pass (雁門關) of the Great Wall was an important barrier to keep the nomadic raiders out. These relic watch towers were part of the formidable defensive system. Wu ZeTian (武則天) of Tang (唐) Dynasty in 700CE was the only woman emperor in Chinese history. 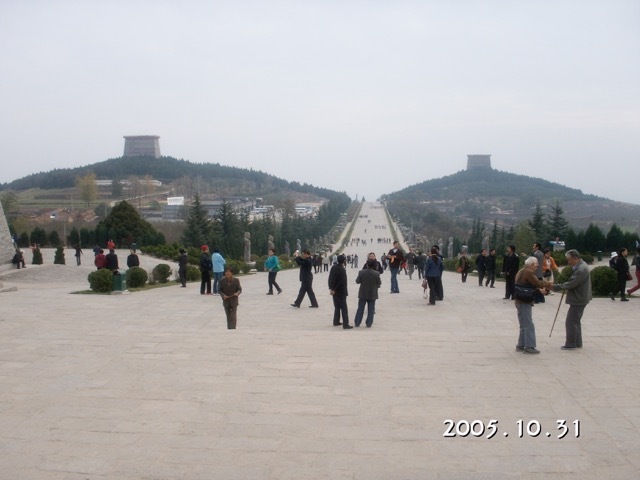 She was buried with her husband, another emperor, in this imperial mausoleum complex. Some people see these two hillocks as her breasts. 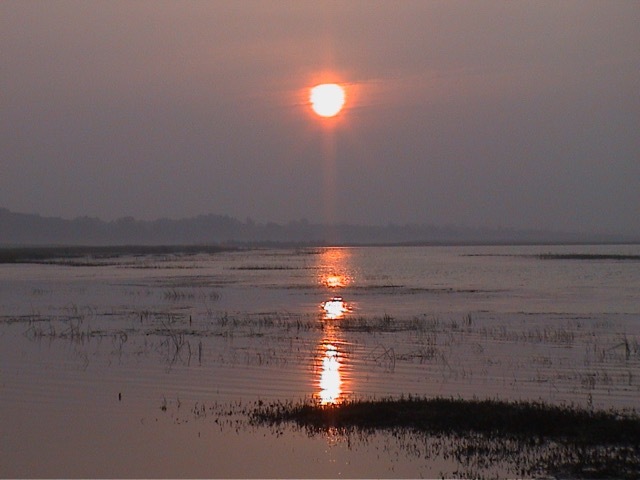 Myanmar (Burma) was a closed land for decades. Bagan is covered by over 2,000 temples and stupas today, down from 10,000 at its height. While they looked impressive from a distance, I found them relatively crudely built with bricks. Angkor Wat of Cambodia is much more refined and beautifully built with stones. This toilet sits in the middle of an empty desert by the road to Tibet. 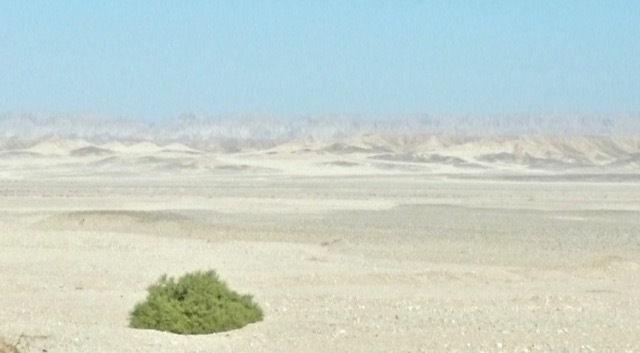 In the sun drenched Egyptian desert, this singular green shrub was a treat to the eyes. In the Taroko Gorge (太魯閣) in Taiwan, I roamed around the gorge and its valleys. 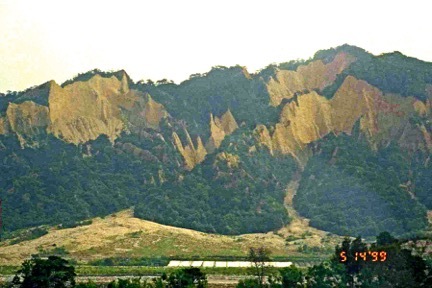 The region is geologically active with earth quakes and land slides. 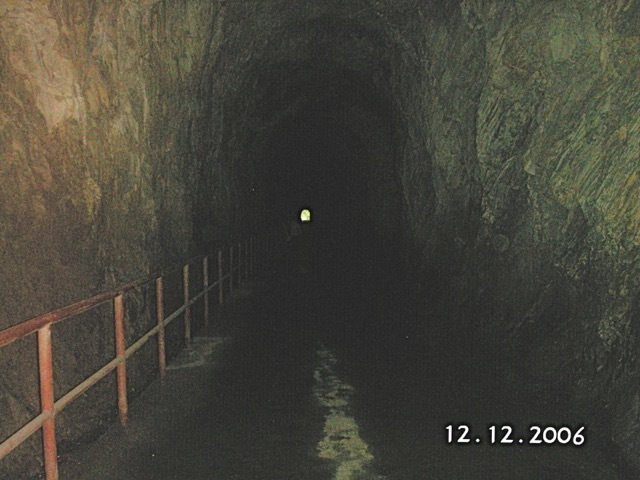 I walked through this tunnel under the mountains. The light at the end of the tunnel was very inviting. California poppy is the state flower of California. They were in full bloom in Antelope Valley and covered miles of pasture. 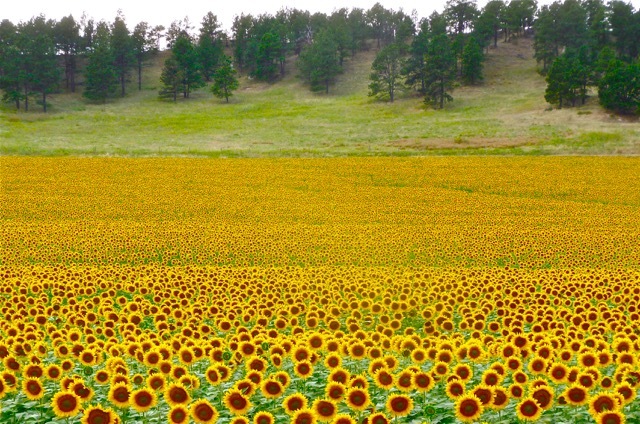 The sunflowers in this field stood at attention and all respectfully faced us. I felt like the commander of a large army. 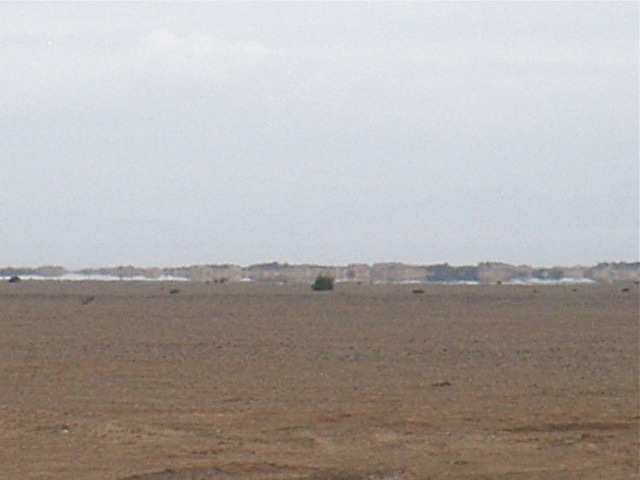 The desolate volcanic crater of Mt. 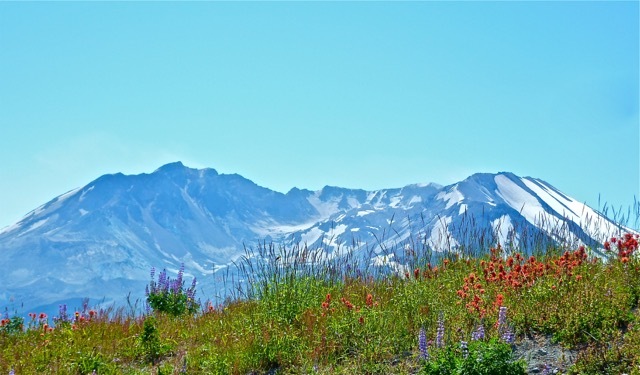 St. Helens was softened by these wild flowers. 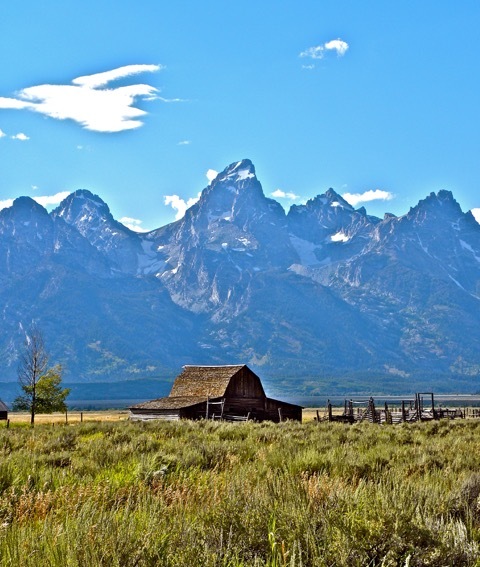 The majestic Teton Range loomed over this idyllic house. This inlet of the sea in Alaska is filled with silt and harbors lots of clams. Anyone stuck in this quicksand-like mud would drown when the tide comes in. 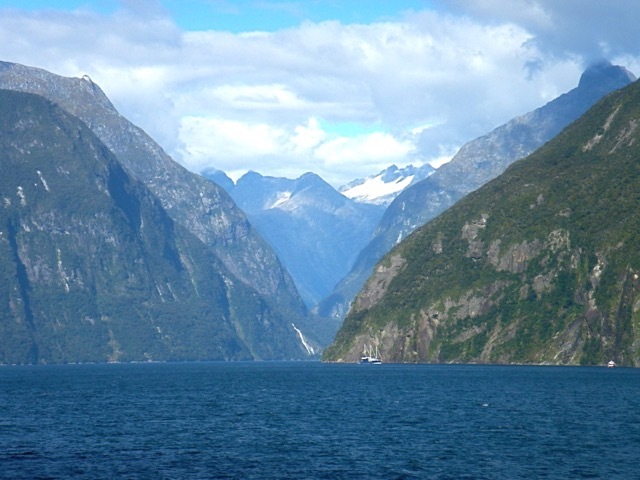 Milford Sound of New Zealand is a deep fjord with cascading waterfalls. 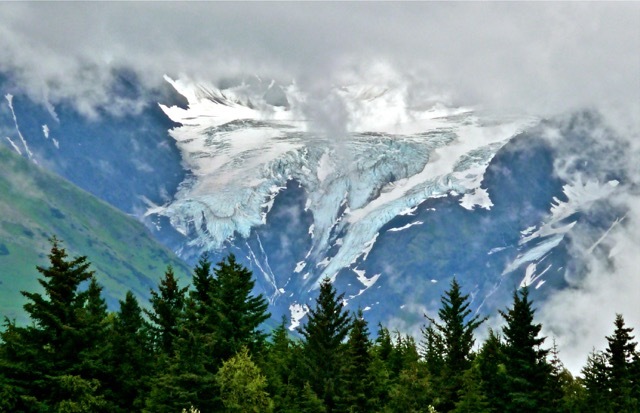 An immense ice field sat on a mountain near Anchorage, Alaska. 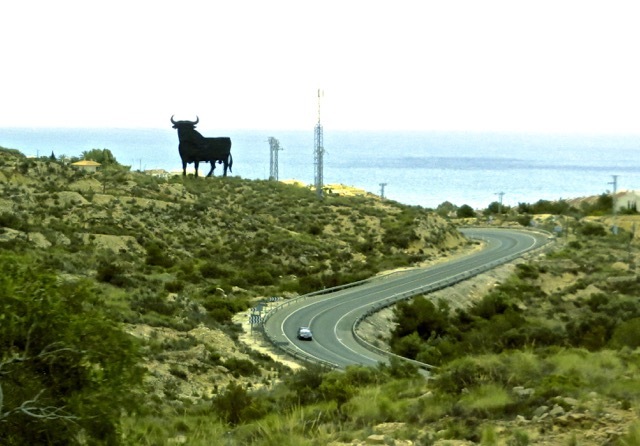 This 45 feet tall sign of a bull was an advertisement for a wine in Spain. When alcoholic advertisements near roads were banned, these bulls were painted black to obliterate the wine reference. There are nearly 100 such signs throughout Spain and they dominate the landscape. 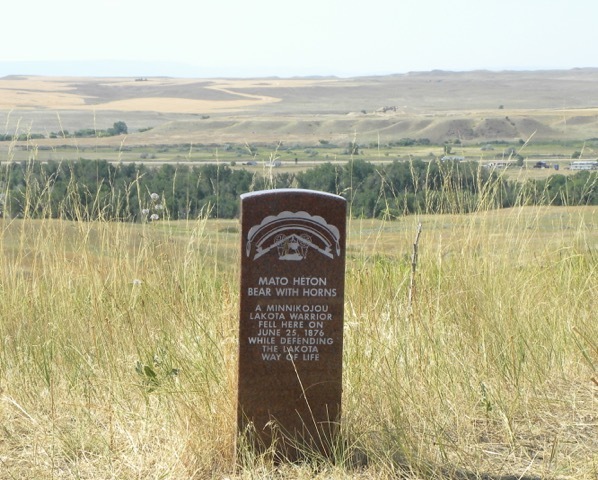 The Battle of Little Bighorn in 1876 was one of the last battles put up by the Native Americans to preserve their way of life. 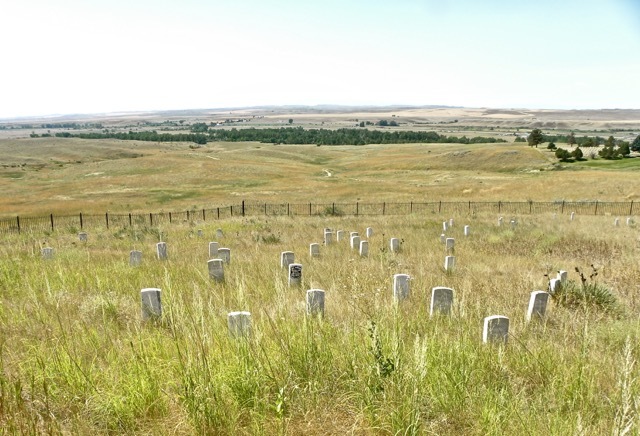 In this rare victory by the Native Americans, 263 soldiers under Lt. Col. George Custer were killed. These stones mark where the soldiers fell. This later addition memorializes one Native American who was also killed. 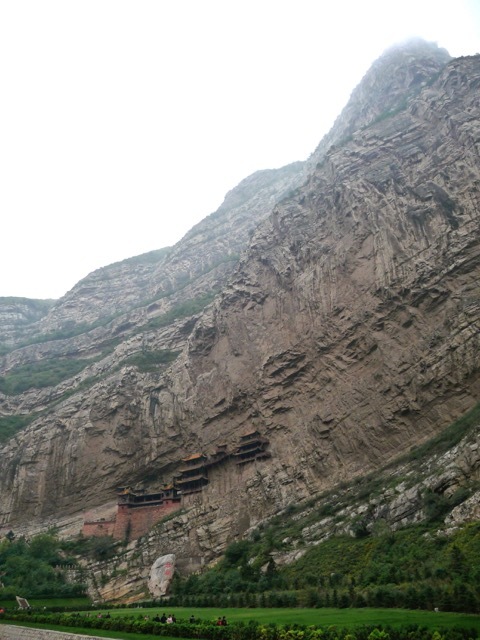 The Hanging Temple (懸空寺) clings to the cliff 250 feet above the valley floor. It looks more impressive from this distance than up close. It was built 1,500 years ago with wood and bamboo. 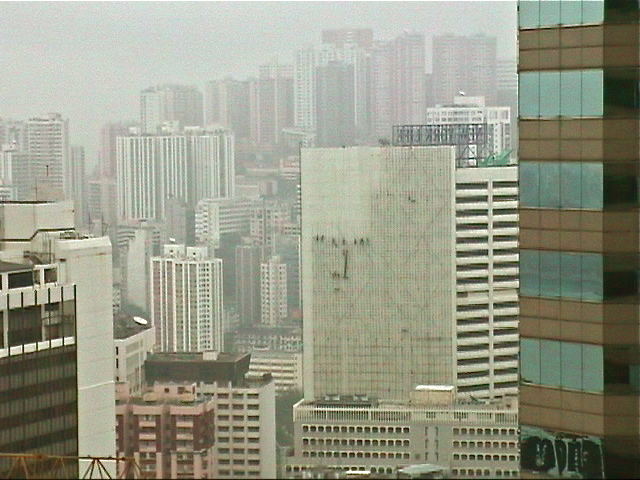 Bamboo is still very useful in today’s building construction in Hong Kong. From my office, I saw bamboo scaffolding being erected on a featureless wall hundreds of feet tall. Daredevils without safety harness climb the rickety bamboo spider web, hoist bamboo poles into place, anchor them onto some obscure protrusions on the wall, and tie them together with nylon twines. It is a hazardous job. 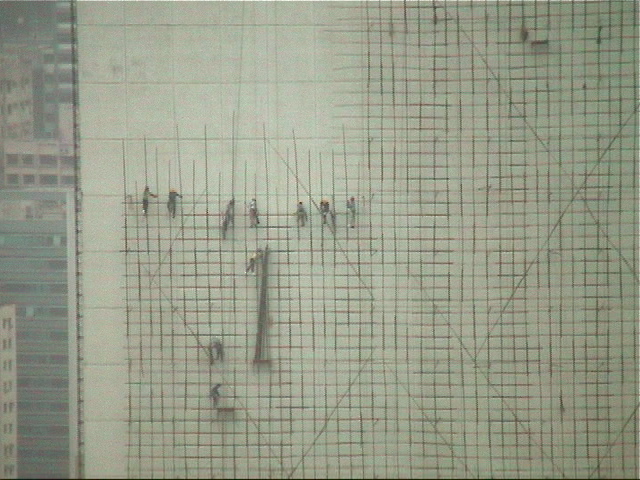 Each year, a few workers fall to their death from such scaffolds. China banned bamboo scaffolding for buildings taller than 6 stories, yet it flourishes in Hong Kong. 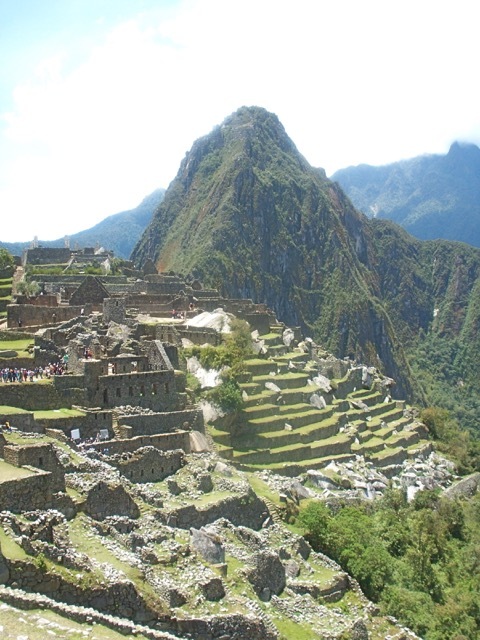 Most visitors to Machu Picchu roam the terraces and the stone buildings. Beyond the ridge, the steep peak beckons the adventurous. High on that precipitous peak, there are terraces and buildings constructed by the ancient Incas. These are truly the hanging gardens. 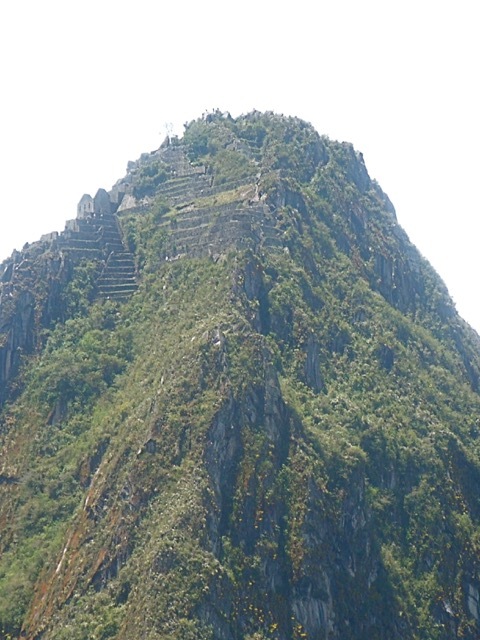 Those fearless Incas were made of the same material as the bamboo scaffolders of Hong Kong. According to a friend who climbed that peak when he was young, the view is fantastic. 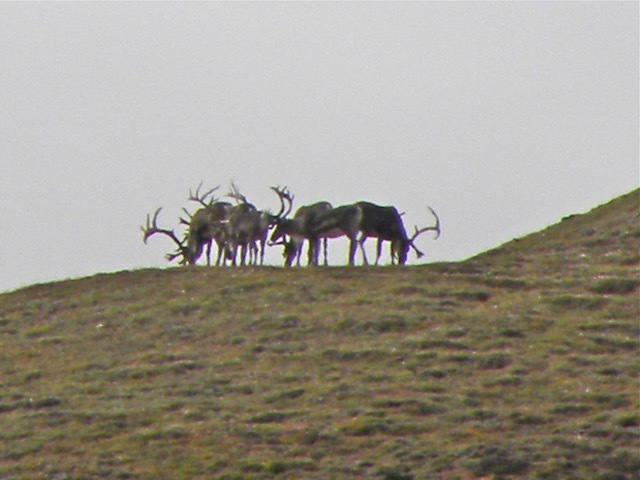 When we visited Denali National Park, the guide said there were elks on the ridge. At that distance, we could barely see the dot of elks standing on the ridge in the middle of this photo. Using my 20x telephoto camera, I could see a herd of elks eating grass. My telephoto lens helps me look far. 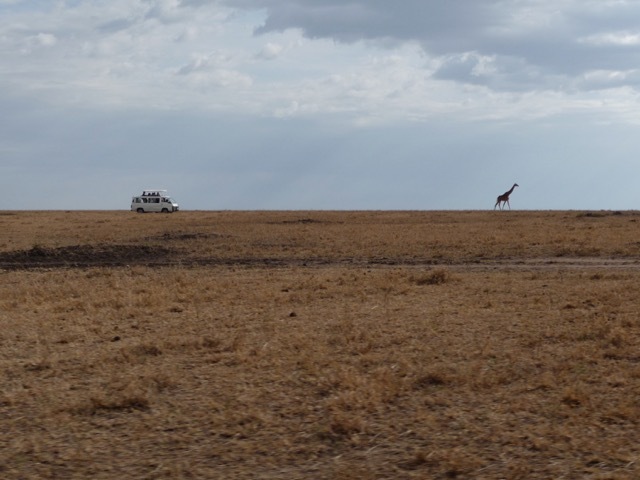 In Kenya, the telephoto camera is essential for capturing good, interesting photos. This picture of a van-ful of lusty tourists chasing after a reluctant giraffe is priceless. Posted by Robert Wu on Saturday, May 23, 2015, at 1:22 am. Filed under Uncategorized. Follow any responses to this post with its comments RSS feed. You can post a comment or trackback from your blog.